Hire Man and Van services for your move or for any kind of deliveries, you are investing in your goods transportation safety. We have the experience, competitive pricing, and all transport requirements - all in one package. 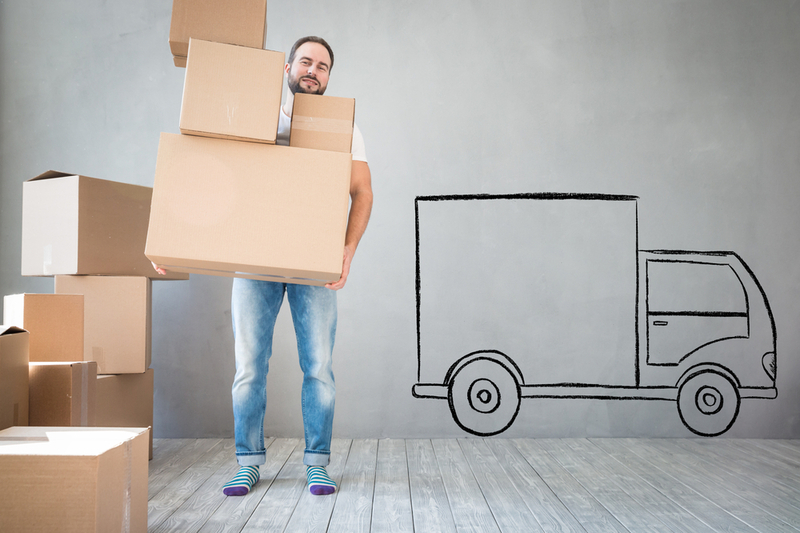 We are operating all around the UK offering our expert man and van services so we can get you moving as soon as you like. We appreciate your trust and realize the importance of a fast and smooth move or delivery, that is why we delegate for each job a coordinator that will take into consideration all the specifics and will take care of things that you shouldn’t bother. As a bonus, you can have the basic compensation of £50k insurance. It comes without saying that you’re having the best job coordinator and proper hands with all the necessary equipment/tools that will solve almost anything in no time and will take care about your goods being safely delivered. £50k loss or damage cover. Up to 7 days before moving - cancel the order free of charge. The price you get includes already all the fees, petrol and VAT. Happy clients are our image – 9000+ great jobs and satisfied families. WeCare’s man and van services are there for you even if you have a delivery or you move outside the country. Europe? name the corner, we’ll be there providing just the same qualitative and time-sparing guidelines. Moving in or out of the main island will be as effortless as possible with our international services. We have more options than you know and our man and van professionals are glad to be challenged with any impossible transport operations, so be our guest and contact us today for a free of charge quote regarding moving across Europe. At WeCare Removals, we have a different pricing policy: unlike most of Man and VAN companies practice. Our prices are down-to-earth and reasonably calculated for any distance and load, because we are good at what we are doing. TIP: Do it on weekdays, avoid weekend as they are the most crowded and the moving might be less pleasant. We Care about your time so we would react as fast as we can to give you clear and specific answers regardless of your enquiries: goods transportation, house moves, office relocations, distance and route, prices or even a 2 men and van services. Automatically you get the professionals’ expertise in all sorts of deliveries, item packing and unpacking, furniture disassembly and technical assistance with all tools included, so you don’t have to worry about any narrow spaces or fragile goods that need special care. We have it all covered. Get instant for man and van quotes by calling our office on 0800 368 7707 (Toll-Free) or by pressing the BOOK NOW button below. The workers arrived on time and did the move quickly. They were friendly and eficient. Our movers were really great. They arrived early to our pickup point and made a very quick job of getting all our things out of a storage facility and to our new flat. Both were very friendly and worked quickly and efficiently while still taking extra care of our things. Would definitely recommend and hire WeCare again! Very good communication up to and including the day. The two blokes doing the moving were great. Very happy with the move.